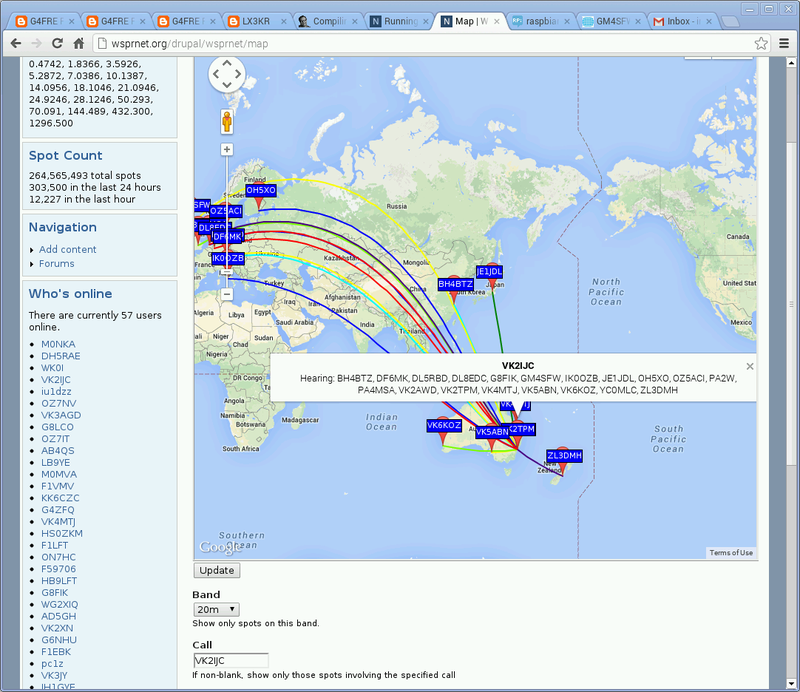 After receiving a Raspberry Pi 2 from Element 14 Australia, the first thing I attempted was to compile and run WSPR 3.9 with a Signalink USB Soundcard (IC-7000 with a dipole converted from a broken G5RV). I followed the instructions of G4FRE (http://g4fre.blogspot.com.au/2012/11/wsjt-on-raspberry-pi.html) except for an updated URL for the SVN repository (and using revision 2840 of the WSPR code). 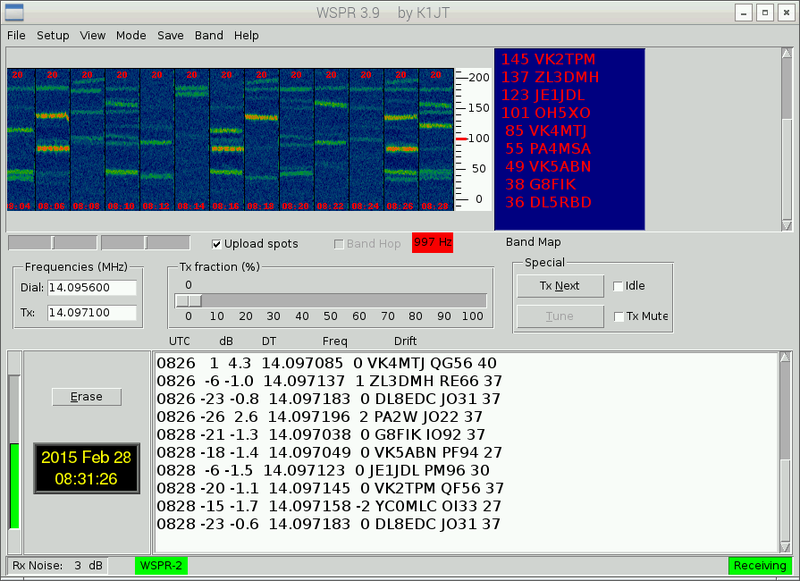 I will try to compile and run WSPR 4 later. I connected the Signalink USB card to the Pi 2 after turning on my transceiver. aplay -l and arecord -l reported the Signalink in the list of playback and recording devices. I am yet to try transmitting with the Pi 2, that is the next step. It is incredible to think about a $35 credit card sized capable of doing so much! Update: Soon after I finished writing this post, I got the Pi 2 to key the transceiver and run a few WSPR cycles, first on 14Mhz and then on 10MHz.